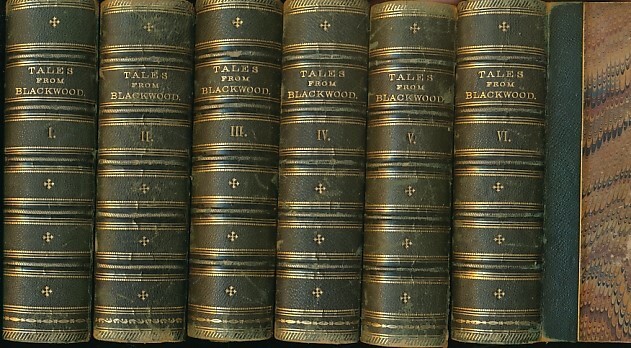 Barter Books : Aytoun, William; Harrison, John; Mudford, William; &c. : Tales from "Blackwood". 6 volume set. 160 x 110 mm (6 x 4 inches) - 3500pp. Green hardback half-leather cover with marbled boards. G : in Good condition without dust jackets. Covers rubbed. Some foxing. First series, starting with 'The Glenmutchkin Railway'.